Breakwater is passionate about many things. We love curiosity and honesty. We are moved by intrinsic motivation and blossoming character. We celebrate when children push themselves to think, feel and act in a way that challenges what they think they are capable of. We revel in the ways children take risks, solve problems, and challenge each other. We know that Breakwater students thrive when they are simultaneously pushed and supported. Every day, we continue El Costa’s vision of encouraging hundreds of ways to grow, while still allowing children to feel the security of the safe harbor. One of the ways we encourage growth in our students is through our outdoor adventure program. Children as early as kindergarten find their ways out into the world to discover a world beyond the classroom. If you have ever found yourself on one of these trips, you surely have felt the magic of a group of students building a team, solving impressive social and academic challenges, and taking personal risks that lead to greater confidence and skill building. By the time a student graduates from Breakwater, they will have gone on countless adventure trips, ranging from exploring the woods to canoeing, hiking to the summit of a mountain in the winter to biking across Mount Desert Island, taking an excursion to a pond to test the water quality to zip lining over a cloud forest in Costa Rica. With every adventure they take, Breakwater students grow as members of a community and as people. This past Thursday, seventh and eighth grade students went on an adventure using a new-to-us fleet of bicycles donated this summer from a shop in New York City. (Special thanks to 3/4 teacher Jesse McDonough for helping to make this happen!) The students put on their bike helmets and cycled together through the neighborhoods of Nason’s Corner to Burbank Library. Once at the library, they were given a number of tasks to accomplish. According to Alicia Amy, 7/8 teacher, this adventure was for challenging one’s body as well as challenging one’s mind. 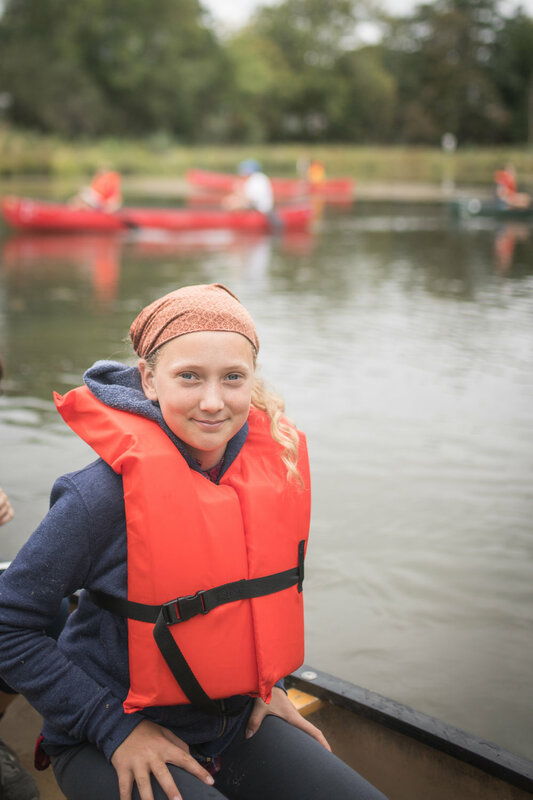 Upon completion of their work at the library, students hopped back on their bikes and cycled to Capisic Pond where they then set out in canoes in groups of two or three and explored our neighborhood pond. While at the pond, middle school students maneuvered their ways up the small river, paddled through the tunnel under Capisic street, hunted for bull frogs and identified birds. Students took turns paddling and observing. Please view the video below if you’d like a little insider view into Thursday’s adventure, as well as commentary from Alicia, Jed and Fitz. As we move deeper into the fall and continue to watch our students grow through the many experiences adventure provides, we will celebrate the opportunity to explore the natural world and the ways in which it grows our children - with grace, respect and boundless curiosity. 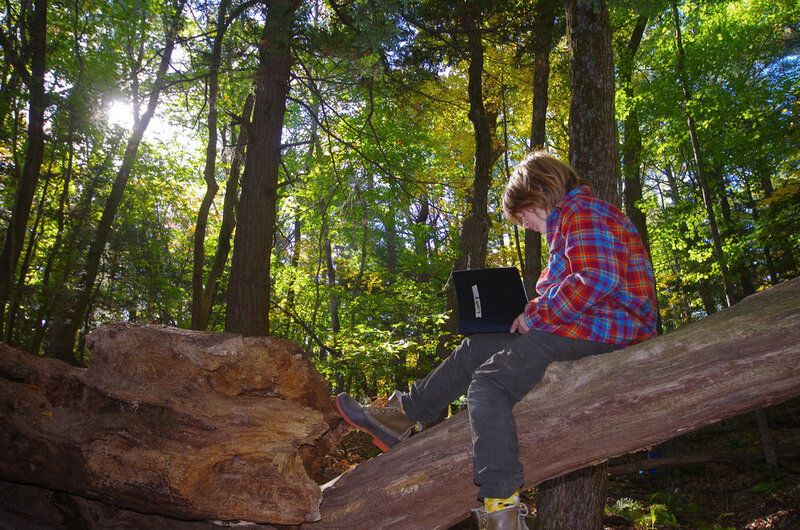 If you would like to read more about how outdoor adventure education impacts child development, check out Richard Louv’s book Last Child in the Woods and Angela Hanscom’s book, Balanced and Barefoot.